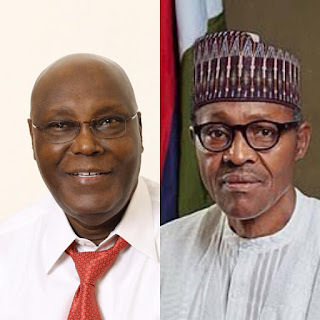 Home Politics 2019 PRESIDENTIAL ELECTION: How The PDP & Nigerians Were Rigged Out Of The Election – As Activists Release Facts and Figures. 2019 PRESIDENTIAL ELECTION: How The PDP & Nigerians Were Rigged Out Of The Election – As Activists Release Facts and Figures. Groups in the coalition are: Int’l Society for Civil Liberties & the Rule of Law (Onitsha), 2. CLO, Southeast Zone (Enugu), 3. CLO, Anambra State Branch (Onitsha), 4. Forum for Promotion of National Ethos & Values (Enugu), 5. Igbo Ekunie Initiative (United Kingdom), 6. Int’l Solidarity for Peace & Human Rights Initiative (Enugu), 7. Foundation for Environmental Rights, 8. Advocacy & Dev (Aba), 9. Society for Economic Rights & Social Justice (Aba), 10. Human Rights Organization of Nigeria (Onitsha), 11. Center for Human Rights & Peace Advocacy (Onitsha), 12. Southeast Good Governance Forum (Awka), 13. Society Watch & Advocacy Project (of Intersociety) (Onitsha), 14. Initiative for Ideal Dev & Emancipatory Leadership in Nigeria (Aba), 15. Igbo National Council (Owerri), 16. Anambra Human Rights Forum (Awka), 17. Voice of the Voiceless Int’l (Awka), 18. Easy Life Initiative for Rural Youths (Aba), 19. Igbo Bu Igbo Organization (Enugu), 20. Community Empowerment Network (Aba), 21. Southeast Movement against Transactional Politics & Profligacy (Awka), 22. Prof Justice Chidi (Southeast Academia) and 23. Neighborhood Environmental Watch Foundation (Abakiliki). “Nigerians,” the coalition said in a statement announcing its findings, “must be told in plain and arithmetic language and signs how their sacred electoral wishes were subverted in industrial scale and with impunity by the integrity challenged INEC and the country’s riotous political leadership and its brigade of goons. “By law and other conventions associated with electoral process, the electoral umpire of every country must be allowed to announce results of a given election and announce a winner, rightly or wrongly; after which the electorates, in part or in whole, including groups or individuals can legally exercise their right of reply, disputing or concurring graphically with the declaration by the named electoral umpire. Such exercise of right of reply includes going to electoral tribunal, rejecting or accepting the verdict of the electoral umpire; all within the confines of the law. The declaration done by the electoral umpire such as Nigeria’s INEC stands until invalidated by the electoral court of last resort. “It is recalled that a key member of this Coalition, Intersociety had on 26th Feb issued a statement, calling on PDP not to preemptively announce its collated results of the said Presidential Poll but allow INEC to finish its own announcement and declare a winner, after which the Party could reply the Commission and tell Nigerians how it was massively rigged; with State-by-State breakdown. Intersociety’s advisory statement had arisen on account of the PDP’s earlier statement rejecting the results as being announced by INEC; saying they were brutally at variance with the collated results in the possession of the Party and accredited poll observers particularly the international observers. “Polling unit originated results of election in Nigeria are derived from three main sources: (a) eyewitnesses/polling unit pasted results; (b) INEC retained copies of FormEC8A results and (c) Party agents’ copies of FormEC8A results. Among all the INEC result sheets, the FormEC8A derived results are the primus inter pares of all INEC results. While others can easily be padded or suppressed or manipulated, those in FormEC8As are difficult to be manipulated. “FormEC8A results are derived from polling units and must be signed and co-signed at the end of the election by the unit’s polling officer, who must also stamped same with the date of the poll and name of the polling unit before being counter-signed by participating party agents; after which each of the participating party agents must be given a copy for onward transmission to his or her party. FormEC8As are key to winning election tribunal cases including being declared winner or getting the fraudulently conducted nullified. “We therefore woke up this morning to see and study on Nigerian social and online media two tabulated and tabled results breakdown of the 2019 Presidential Poll from the 36 States and the FCT. The two tables showed the results declared by INEC side by side with those reportedly originated from accredited foreign observers and the camp of the PDP; clearly indicating the glaring disparities between what INEC declared and those obtained by the duo. “The tables further indicated States where unlawful and inflated vote figures were added to APC as well as where PDP vote figures were suppressed or mangled. Contacts were extensively made to authenticate the source(s) and genuineness of the analytical results breakdown; all done strictly in accordance with corporate and individual citizens’ right of reply. The findings made by the Coalition paid off with reception of a privileged copy of the int’l observers’ obtained results. “We were further made to understand that the foreign observers have resolved to tread with caution so as not to cause diplomatic row or tension by directly and publicly releasing their obtained results. Instance was cited in the Angolan national poll of 1992; where the foreign observers obtained all the results few hours after the results but withheld same for two weeks so as to avoid preemptive publication of same. “Calls were also made by the Coalition to PDP’s camp to ascertain the conformity of its collected FormEC8A results with those of the foreign observers; and the answer was in positive. For easy reading, the plain and disputed or grey areas of the INEC declared results; compared with the undeclared winner’s results are analytically re-presented or broken down by the Coalitionbelow on State-by-State category. “From the above analytical breakdown, it has clearly shown that the results declared by INEC from Abia, Anambra, Imo, FCT, Kogi, Plateau, Nasawara, Kwara, Ogun, Ekiti, Ondo, Adamawa, Gombe and Sokoto were in accordance with those possessed or legally obtained by the PDP and accredited int’l observers whereas those results declared by the Commission from the States of Kano, Kebbi, Katsina, Zamfara, Kaduna, Taraba, Jigawa, Borno, Yobe, Ebonyi, Enugu, Cross River, Rivers, Delta, Edo, Bayelsa, Akwa Ibom, Benue, Niger, Osun, Bauchi and Lagos were brutally corrupted, padded or mangled; meaning that PDP had its sacred results from such States brutally suppressed or mangled while those of APC got alarmingly inflated.